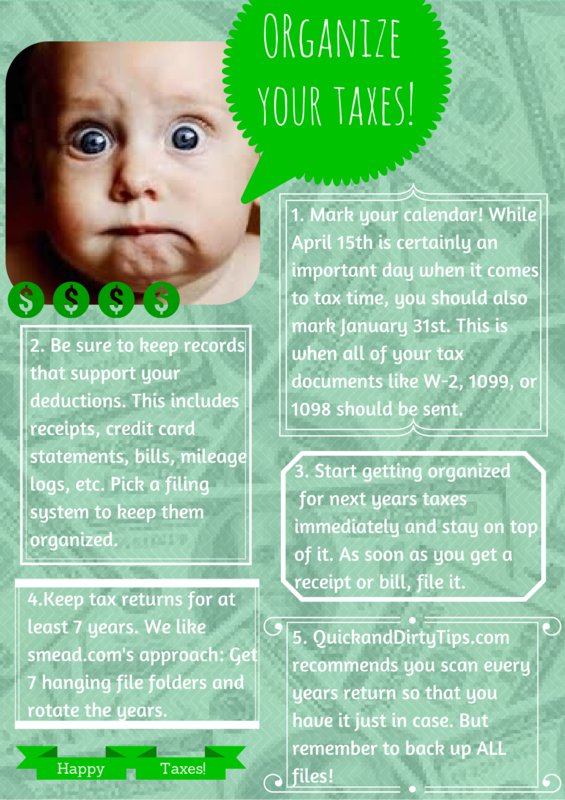 We all know tax time can be very stressful. If you are like me, every year you curse yourself for not being more organzied and vow to be better next year......hopefully this year it will happen! With these super easy tips I think it's possible! Do you have any great tax tips?